We ship mainly by UKMail next working day delivery for orders received by 1:00pm. 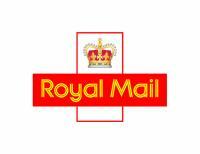 Royal Mail is used for the 4-bin pack size, for samples packs and accessories. We ship to Northern Ireland and very rural areas by Royal Mail, usually taking a day extra to arrive. Please contact us for prices for Saturday delivery or guaranteed delivery arrangements. Royal Mail up to 4 working days.